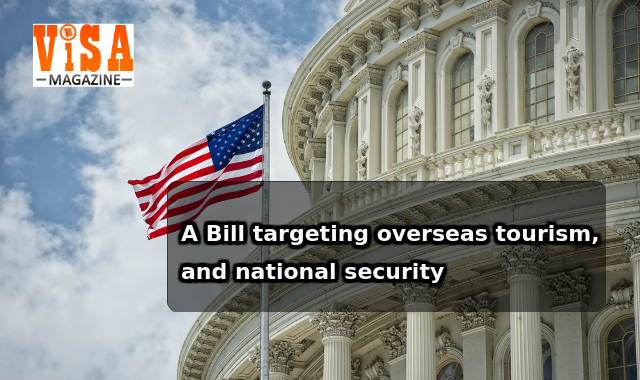 Representative Mike Quigley (Democrat-IL) and Tom Rice (Republican-SC) introduced legislation with the aim of enhancing overseas tourism to USA, while also attempting to improve national security. The Jobs Originating through Launching Travel Act is a step to reform obsolete visa laws, and also to create jobs. It will give a new name to the Visa Waiver Program as the Secure Travel Partnership Program. This effort reflects the overall benefits to America and countries partnering it. As per the officials 22 million people reached the United States in 2016, from V.W.P. countries, and also were 59 percent of the foreign country arrivals to America. They had a hand in generating $90 billion, and also accounted for 44 percent of travel exports to all foreign countries. With the aim of protecting the homeland and also ensuring that the VWP countries follow the security standards of USA, the JOLT Act stipulates that the Homeland Security Secretary must enforce a series of security requirements which in the past were only discretionary. This Act will also give a boost to the competitiveness of the country and improve national security by making the Visa Waiver Program, modern. It will streamline travel into the USA for pre-approved travelers from all member countries. The Expansion of VWP will lend great support to the travel industry, and also create new jobs. Moreover it will bring additional dollars to the tourism industry of to South Carolina. Furthermore, it will bolster homeland security and also boost counter-terrorism efforts. The aim of the legislators was to keep their constituents safe and away from harm. This was a right step to achieve the great American Dream. The JOLT Act will help to accomplish these objectives, and also stimulate economic activity, besides boosting the security aspects. Through the update of the obsolete visa laws, there will be better tourism and additional job growth in cities. It will help the Intelligence Community of USA to see the terrorist threats and stop them in time.